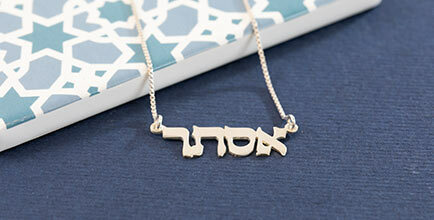 You can find us next to the purchase amount under the name "Israel Blessing" / "MyNameNecklace". Respecting your privacy is of utmost importance to us at Israel Blessing. Any information you submit to our website, or that is gathered by a “cookie” during your visit, is used strictly by Israel Blessing to maintain a record of your purchases and for promotional reasons. We do not sell, transfer, rent or trade your information to any third party. When you register at our site, you will be asked to submit some personal information, such as name and contact information. 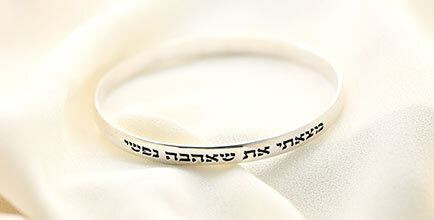 Israel Blessing will safeguard your personal information. Under no circumstances will we disclose or share your information with any unauthorized third party. In addition, we utilize a “cookie” to track your movements on the site. The cookie “remembers” who you are, therefore eliminating the need for you to re-register with us every time you visit our site. In addition, it enables us to provide you with a shopping cart feature, and streamlines your overall shopping experience. If you have a Israel Blessing promotional code, enter the code in the “Promotional Code” box on the bottom of the shopping and click on “Apply”. To ensure that our emails do not go to your spam/junk folder, add CustServ@israelblessing.com to your email address list. Does the chain length include pendant? 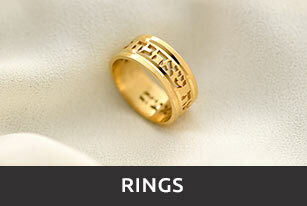 For all other jewelry, the size is published in the information box on each product page. 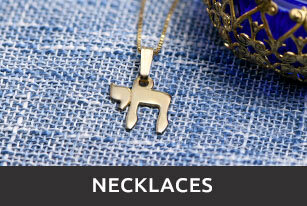 The pendant height is written in the product information table on the product page. The pedant length varies according to the inscription. How can I add a Birthstone crystal to my necklace? We can add Birthstone crystals most products. 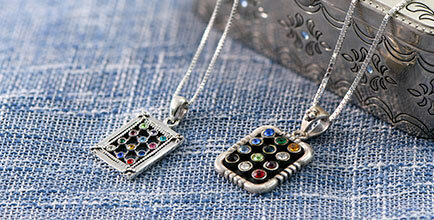 Please take a look at our Birthstone collections. 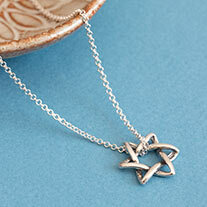 Is your jewelry made of real precious metals? 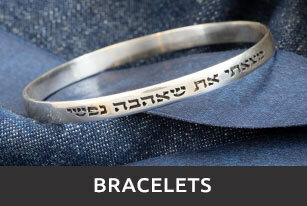 You may return most new, unopened items purchased and received from israelblessing.com within 100 days of delivery.